This Brian Cashman cannot go TWO days without dropping BOMBSHELLS in the Winter Meetings…. The Yankees OFFICIALLY announced the Giancarlo Stanton trade with a Press Conference at the Winter Meetings in Orlando yesterday and LESS than 24 hours later, they have made ANOTHER smart move. This smart move ALLOWS the Yankees to make more SMART moves in the next couple of days at the Winter Meetings, and make you wonder IF the Yankees are going to even LOSE A GAME next season. In like the SECOND blog I ever wrote about the Yankees, I gave Chase Headley, the nickname “People’s MVP” and it stuck, because most Yankee fans HATED Headley’s guts, while I actually liked him and thought he was REALLY GOOD. He had his struggles with the team, but the People’s MVP always came to play and TRIED HIS BEST to help the Yankees win, he now goes back to San Diego where he started his career, but they have NO PLACE to put him, so I wonder if he will be traded AGAIN this off season to another team. Bryan Mitchell had a lot of POTENTIAL and was expected to be in the Yankees rotation for MANY years, but he was never able to get it going in the Big Leagues. I think he can STILL be a VERY GOOD pitcher and the change of scenery in San Diego will help him as the Padres play in a pitcher friendly ballpark. The Padres wanted to take a gamble on Mitchell, so they TOOK ON Headley’s salary for that gamble. The Yankees got back outfielder Jabari Blash from the Yankees. Blash has not played much for the Padres and with the ABUNDANCE of outfielders on the Yankees major league roster, this deal has to be a PRECURSOR for a deal involving other outfielders like Clint Frazier and Jacoby Ellsbury, why else would the SMARTEST man in baseball, Brian Cashman acquire ANOTHER outfielder this season. I feel like it HAS to be mentioned in every Yankees related blog, that their #1 goal for this off season is to get UNDER the Luxury Tax Threshold and they have been making moves that allows them to get their. Giving up Starlin Castro and DEMANDING $30 Million from the Marlins in the Stanton deal, allowed the salaries to be even, so the Yankees essentially got better without INCREASE in payroll. This deal is similar to that deal, where they are dumping salary to get EVEN more room UNDER the threshold, allowing them to fix some of the holes on the team. They are now close to $30 Million UNDER the threshold for next season after the Headley deal, so they are NOT DONE making a BIG SPLASH in Winter Meetings just yet. I am going to go ahead and make an EDUCATED GUESS that this money is going to be used to possibly resign CC Sabathia and Todd Frazier, but hey the Yankees LOVE to make big signings so they could sign BIG free agent pitchers Yu Darvish and Jake Arrieta with that money also. Sabathia and Frazier are LOVED by everyone in the Yankee clubhouse, which is filled with a lot of YOUNG players. The Yankees need players like Sabathia and Frazier to add that VETERAN presence to the team who can add VALUABLE contributions when NEEDED. It would be a NO BRAINER for the Yankees to bring them back to this team that is the FAVORITE to win next year’s World Series. Todd Frazier came to the Yankees in a mid season trade with the White Sox, and immediately became the team’s spirit animal. He started the THUMBS DOWN movement that rallied the team in September and got them to GAME SEVEN of the ALCS, a feat NOBODY thought they would achieve. I said it when he first got here that Frazier is one of my favorite baseball players so I would LOVE for him to come back and play near his HOMETOWN again. The Yankees all along would have liked to bring him BACK, but they had no room to play him as Headley was occupying third base and Greg Bird is the Yankees’ first baseman of the future. 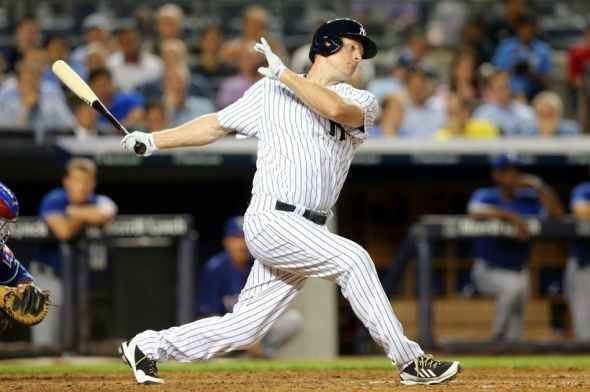 With Headley NO LONGER on the roster and the Yankees having the money that Frazier is going to DEMAND in Free agency, it would not shock me if they RE-SIGN him in the next COUPLE of days. CC Sabathia has been with the Yankees for the SECOND longest amount of time behind Brett Gardner and despite being on the other side of THIRTY, I still do think that CC can be a GOOD pitcher in the MLB. The Yankees LOVE CC and WANT to bring him back, but I do not think they want to commit TWO years to him, which is something I think he WANTS. The Yankees can use the new room UNDER the threshold that they just got to offer him a little bit more money for ONE year instead of being FORCED to give him a TWO year contract. Both sides, CC and the Yankees WANT a deal to get done, so they will have to meet in the MIDDLE and get it DONE. This deal was essentially a salary dump for the Yankees in which they gave up a QUALITY prospect in order to lose some salary. I wonder IF they are trying to do the same thing with Ellsbury’s MASSIVE contract by pairing him up with Clint Frazier in POSSIBLE trade deals. Cashman is already the FRONTRUNNER to win next year’s Executive of the Year award, but IF he is able to get rid of Ellsbury’s contract this offseason, then they might as well give him the award RIGHT THEN AND THERE.